There’s moments in one’s life that reminds them of the incredibility of being alive. This was one of them. After years of watching my idol in extraordinary films and incredible television shows, I was finally going to come face-to-face with her. Just writing this gives me the chills. But, it happened. 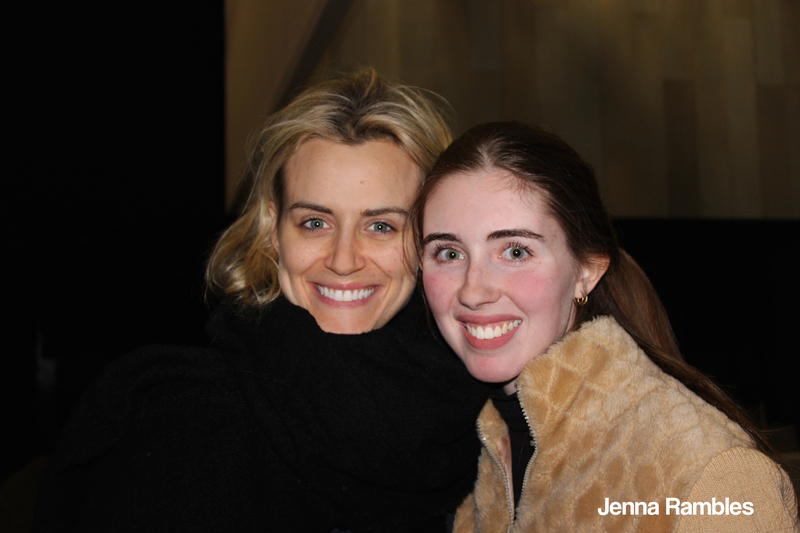 I met Taylor Schilling. With front row tickets to Manhattan’s Classic Stage Company’s production of A Month in the Country (starring Taylor Schilling and Peter Dinklage) and the opportunity to meet Taylor after the show backstage, I felt like I was in an unbelievably miraculous dream. It all started in November 2014 when I created The Taylo Project; a ‘fanbook’ compiled of fan messages worldwide alongside images chronologically representing the highlights of her career. Over the course of three months, I received over 40 submissions from people of all different ages and nationality with a common interest – Taylor Schilling. These were ascertained from dedicated Twitter, Instagram and Tumblr sites. After countless hours, I completed the book, which I – as biased as it may sound – think is absolutely fantastic. The following video is a snippet featuring each page of the book. It wasn’t until I woke up at 2AM to seize front row tickets as soon as they were released that it finally sunk in … I was actually going to be seeing my favourite actress live. 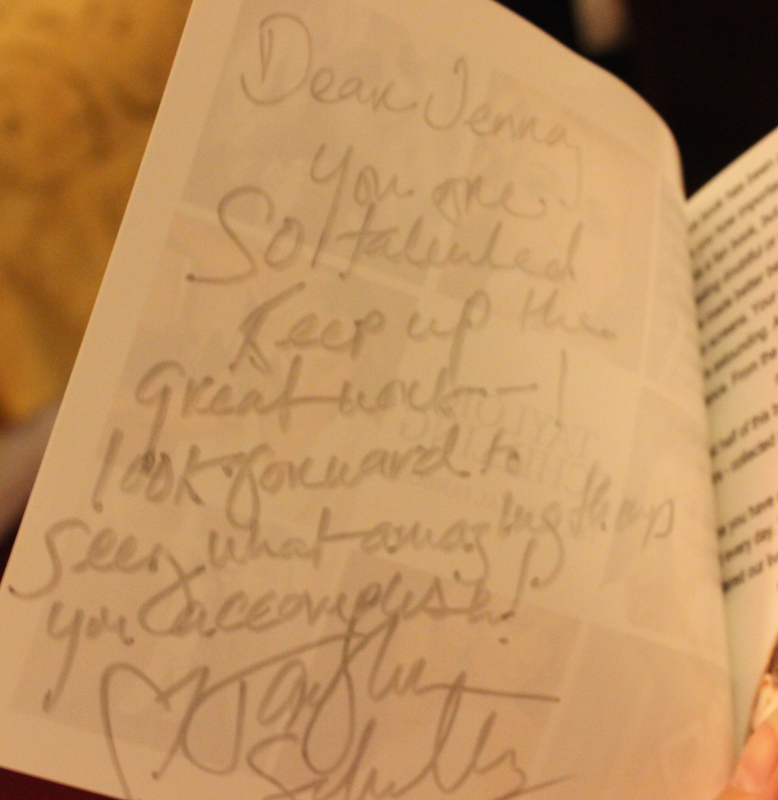 Fast forward two months and countless emails with the theatre company, I was given the all-clear to give the book to Taylor backstage. In all honesty, I was thrilled to have the opportunity to explain to Taylor the intention behind the book– including the meaningful messages it contained – rather than simply handing it over and hoping for the best. The wonderful team at the Classic Stage Company were absolutely marvellous in organising this special meet and greet, and I am eternally grateful for their empathy and kindness. They understood that I was travelling from Australia and had made a very special gift for their leading lady that needed to be personally passed on. So on that note, I’d like to give a special shoutout to Jeff, Jama & Gina for their formidable efforts. After months of waiting, the day finally arrived – February 17th. Walking into the Classic Stage Company’s theatre was absolutely surreal. It is so extraordinarily intimate giving audience-goers a truly personal experience that is rarely offered nowadays. If I lived in the city, there is no doubt I’d be grabbing myself a season pass. Directed by Erica Schmidt, the Classic Stage Company’s adaptation of Ivan Turgenev’s A Month in the Country was flawless. The play takes place in 1840s Russia and follows its protagonist, Natalya Petrovna (played brilliantly by Taylor Schilling), and her changing relationship towards her best friend, Mikhail Rakitin (Peter Dinklage), and adopted daughter, Vera (Megan West). Originally five hours long, Schmidt does a brilliant job of staging this intense piece. For the play’s entirety, I was mere centimetres away from the action where I really could feel the raw energy exuded by this wonderful cast. It’s a theatre experience that I will never forget. Once the play finished and the cast did their final bows, the realisation came that I would be meeting Taylor in a few minutes. Shaking, I prepped my Mum with the camera and prepared the gift. Fifteen minutes passed, and there she was. She casually walked towards me with her assistant with a massive smile on her face. All I could do was stand still, my mouth ajar in shock. Her assistant then introduced us to each other and we shook each other’s hands. Taylor then kicked off the conversation by asking: “Where in Australia are you from?” I replied with “Sydney”. She was so grateful to hear that we had travelled close to 24 hours to see her perform. “I’ve actually made you something,” I said, picking up the book, as my hands shook like freight trains. I explained to her the basic premise behind the book, letting her know that all of her fans would’ve done anything to be here, but unfortunately weren’t able to so instead, their letters are in this book. I then flicked through the book to give her a basic idea behind what I was saying. Throughout this time, Taylor attentively listened to what I was saying, her hand resting on my shoulder. After a minute or two of my shaky voice rattling on, she looked shocked. “You are so incredibly talented,” she repeated. Hearing those words come out of my idol’s mouth is something I’ll never ever forget. I think she was particularly surprised that this was an actual, professional book. After her numerous compliments (which I happily accepted), she asked how long it took to make, and how exactly did I make it. I answered as confidently as I could, reassuring her that the time spent on it was completely worth it and very enjoyable. “Whenever you’re feeling sad or low, I want you to pick up this book to remind you of how important you are to the lives of so many.” “You’re going to make me cry!” Taylor exclaimed. After fifteen or so minutes of talking, my Mum asked Taylor whether I could get a photo with her to which she replied: “Absolutely!” She put her arm around me and leant her head against mine. It was so sweet. She then gave me a big hug, wished us a safe flight back to Australia, and said that she’d read the book when she gets home. Three weeks on and I still smile whenever I think about it. Not only was Taylor breathtaking in her play, but she is such a beautiful person, on the inside and out. She said that whenever she finishes the play she always gets so emotional, which really exemplifies her dedication to the craft. I will forever cherish the time we spent together, including the beautiful message she wrote. Being told you’re talented by your favourite actress is such an extraordinary compliment; one that I’ll never forget. ← Welcome to New York! It’s been waiting for you. I’m a Taylor’s fan like you and I can clearly imagine what you felt at that moment. Greetings from Brazil!! Thank you so much for your comment, Shaiana! It was so surreal! I still can’t believe it actually happened! Thank you for taking the time to read the post! I very much appreciate it!